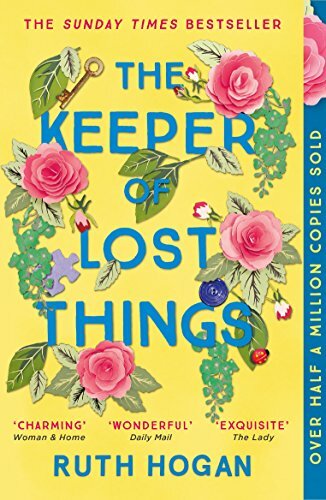 My pick of the paid 100 Bestselling Kindle books is The Keeper of Lost Things by Ruth Hogan. It is number then at the time of publication. Only 99p on Kindle. I love the cover it so bright and vibrant. Have you read it? What did you think, leave your thoughts and blog links to reviews in the comments, please? 💫 The Keeper of Lost Things by Ruth Hogan. Haven’t read this one although I do have a copy. Loved Sally Red Shoes and have the new one ready to read very soon. Oh it’s that author! Okay, super this one does look like a fabulous read. Oh wow, I might just have to read it asap. Hearing only great things about it. Loved this intro to her works, such charming characters, I’ve just read her new book, a little darker but equally interesting characters and set in Brighton, so ignites the imagination if you’ve spent time there.